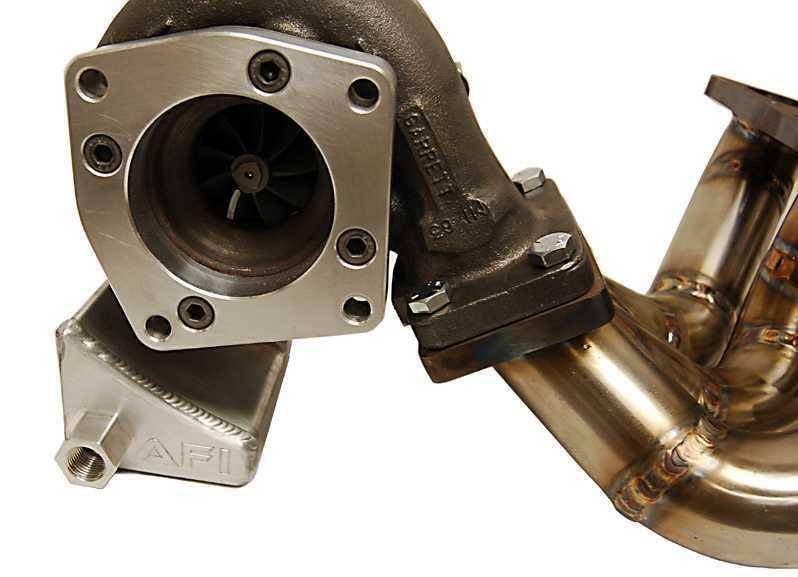 Are you ready to run some big turbos on your Porsche 996 or 997 Turbo? Well Agency Power has engineered and developed these adapters specifically for the Porsche Turbo so you can use Garrett turbocharger with your factory style exhaust from Fabspeed, Milltek, Agency Power, Tubi, JIC, and others. These CNC machined steel exhaust adapters are precision engineered to bolt to a Garrett turbocharger such as the GT28 or GT30 setup and then to your stock exhaust. The holes for the turbo are recessed so you can install locking nuts to the turbo studs that pass through the adapter. The exhausts then connect to the offset holes with additional bolts and nuts for a secure fit. Because of the precision machining done on these, t HERE is no need to run a gasket. These flanges are the proper thickness to position your Garrett turbo in the proper place for your customer headers with external wastegates. 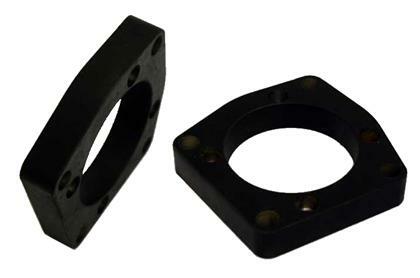 These exhaust adapters are sold as a pair and fit the Porsche 996 Turbo and Porsche 997 Turbo. They have been tested on both the Garrett GT2860 and GT3076 turbochargers. They are finished in a durable black oxide finish.